Was waiting impatiently for this visit, as I know I will be able to see more of baby, and to know that he/she is doing alright. Once the gynae came out to get us, she quickly looked at my file and asked me straight to the bed before any consultation! I think she somehow knew what us expectant mothers look forward to the most. As usual, a cold gel was applied to my tummy, and there it is! My oh my, how much has it grown! Gynae was very patient with getting a nice view of baby. Going all over my tummy. It's a boy, and there's proof! His heartbeat is a strong 170. Gynae then counted his fingers. 1,2,3,4 and a thumb. 1,2,3,4 and another thumb. Check! 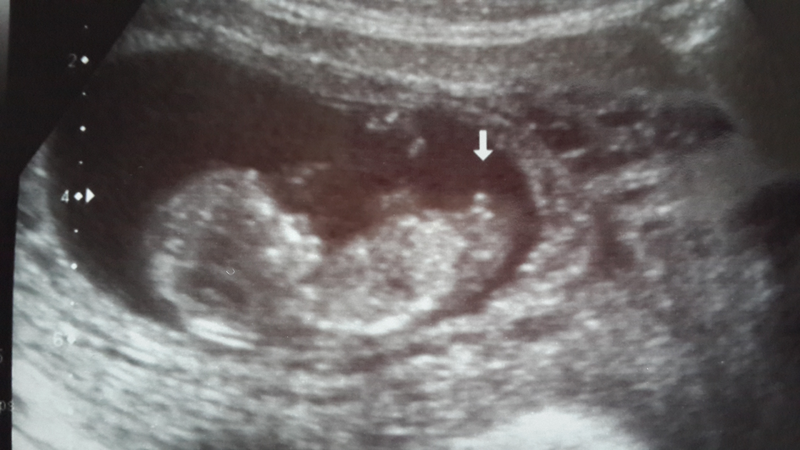 Baby was kicking all the time, feisty little thing! Took a while for him to be still so we can get a nice picture print out of him. 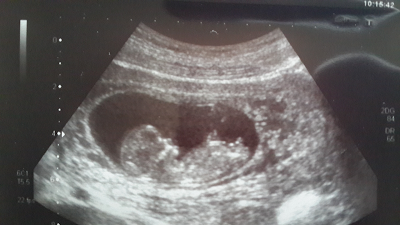 Gynae said everything looks really good, and our next step is to wait for Dr.Linnie Muller's appointment at 13 weeks on 3rd June. She does fetal assessment, and is known to be one of the best in South Africa, if not the world for her accuracy. My gynae told us she can even recognise a cleft lip on an ultrasound as early as 13 weeks. Gynae told us we have nothing to worry about and she's sure everything's gonna be fine. Cant wait till that milestone!